This series was taken Christmas Eve morning, in the Wet Mountain Valley, SIlver Cliff Colorado. 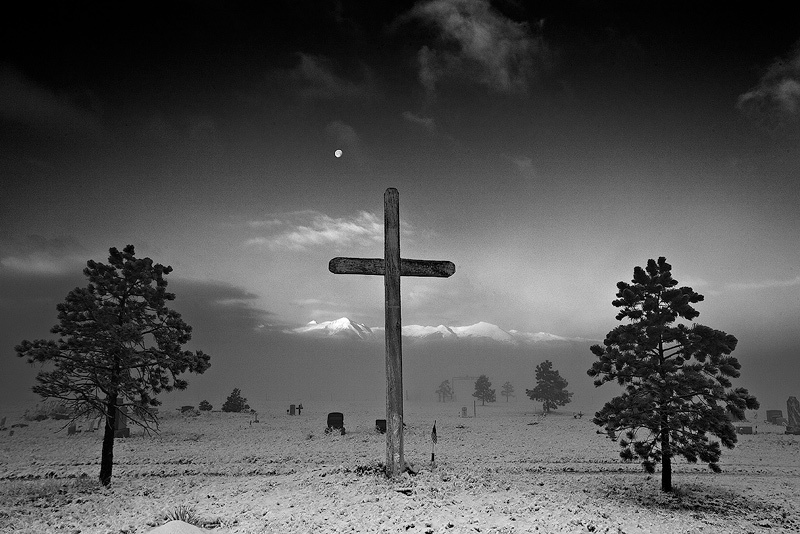 It's my way of paying tribute to Ansel Adams and his concept of previsualization. 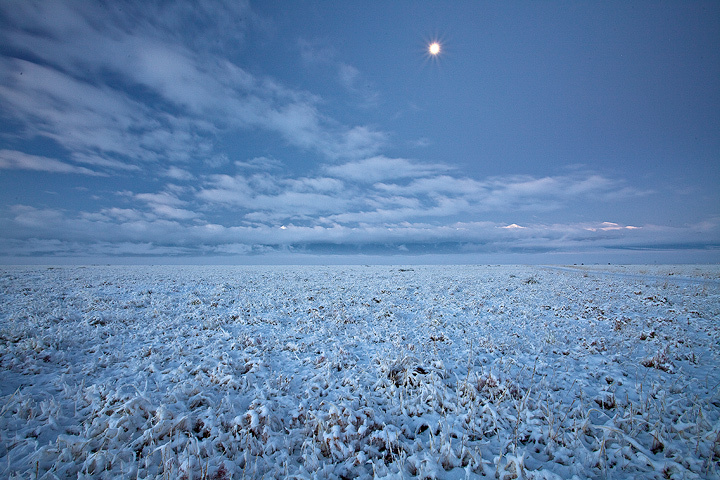 I envisioned this scene nearly year ago, as a wintery version of one of my favorite photos, Moonrise Over Hernandez. 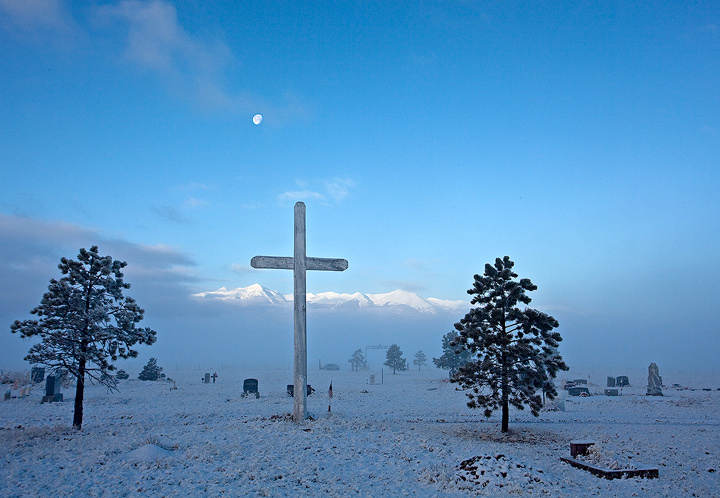 I imagined a cemetary with crosses at sunrise and moonset, as snowcapped peaks rose above a layer of fog and fresh snow. 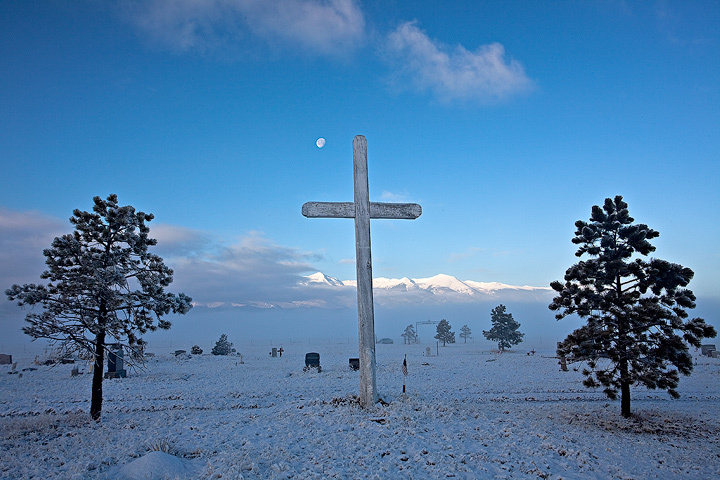 I knew that this cemetary near Westcliffe, Colorado, sitting beneath the 14,000 foot peaks of the Sangre De Cristo Range, would be perfect for my vision. I just had to wait for a light overnight snowfall, knowing that clearing conditions at sunrise would result in the fog in the valley. Everything went as planned, and it was a truly magical morning, and an early Christmas present! 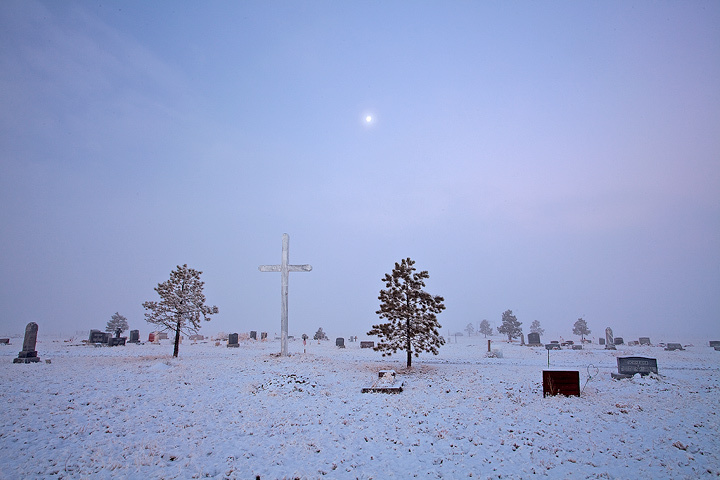 The moon sets over a cemetary in Silver Cliff, Colorado, as fog clears following a light overnight snowfall. Photo © copyright by Stan Rose. 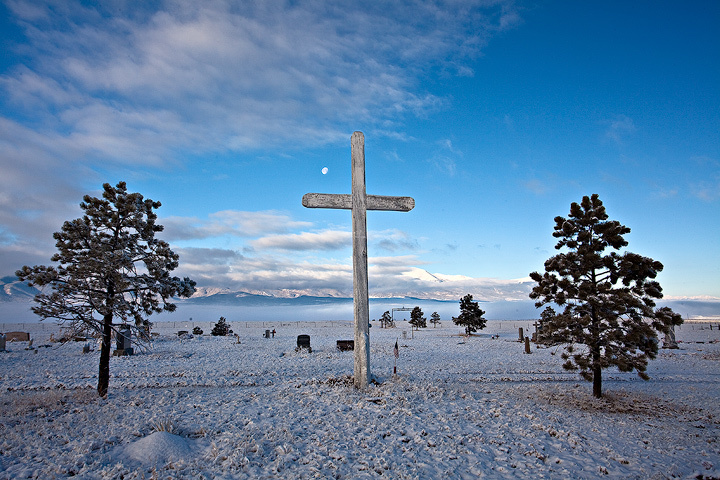 The same scene, in color. Photo © copyright by Stan Rose. I worked this amazing scene from various angles, periodically wiping off a thin coating of ice that was forming on my camera lens. Photo © copyright by Stan Rose. 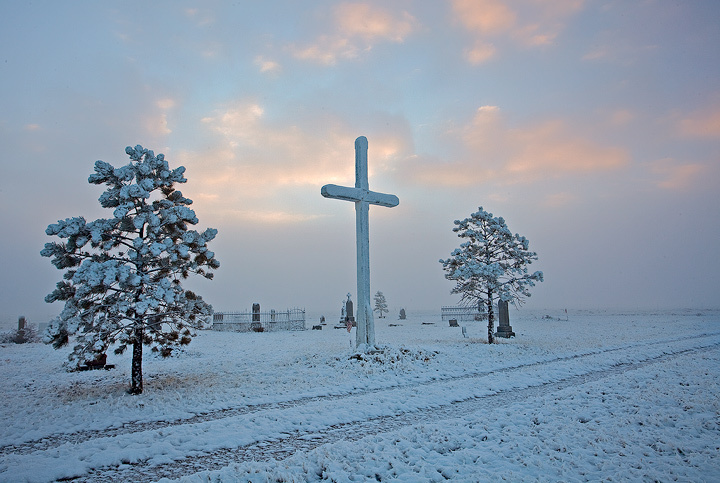 Sunrise and moonset on a cold morning at the Assumption Cemetery in Silver Cliff. Photo © copyright by Stan Rose. One more look, as the sun continued to rise. Photo © copyright by Stan Rose. 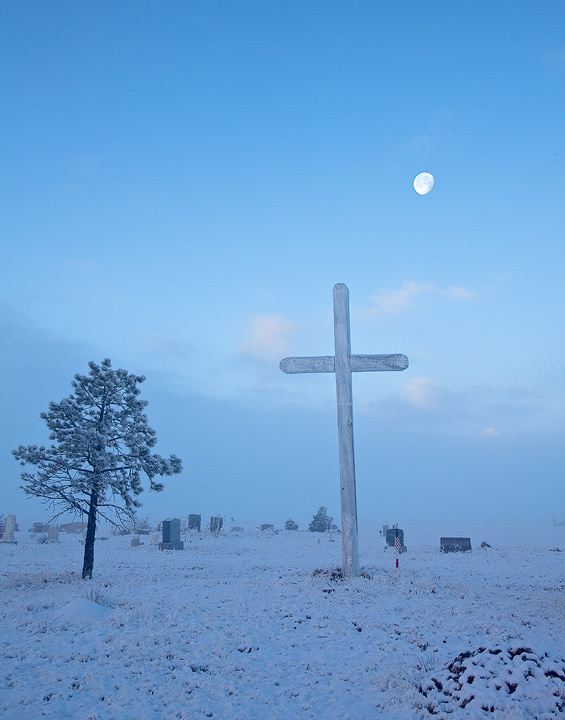 When I arrived at the cemetary at 6:30 am, the fog was still a bit sparse, and the valley was cold and blue under a bright moon. Photo © copyright by Stan Rose. In this vertical version, I 'replaced' the original moon with the same moon shot at the same time but at a longer focal length, so the moon here is about 50% larger than the origianl. Photo © copyright by Stan Rose. 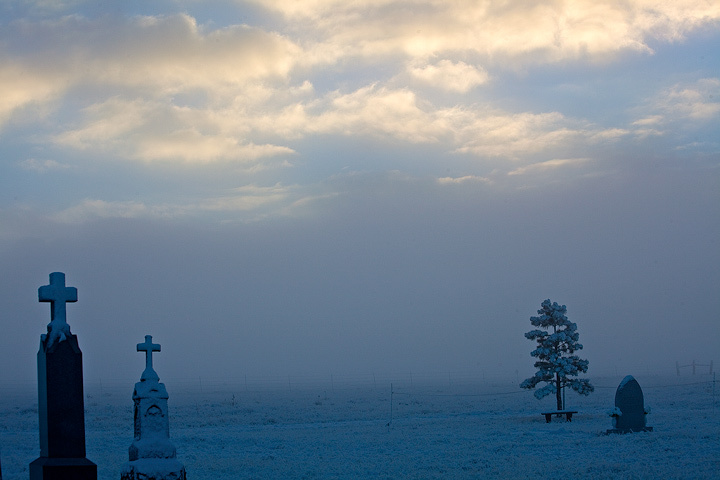 A view of the peaceful cemetary. Photo © copyright by Stan Rose. The scene looking Southeast was equally sublime. Photo © copyright by Stan Rose. 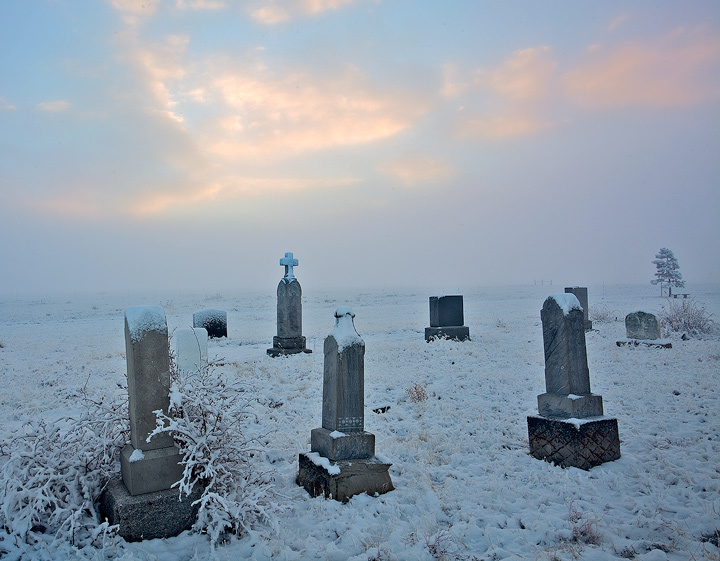 This cemetary is purportedly haunted (home of 'ghost lights) but it just felt peaceful to me. Photo © copyright by Stan Rose.